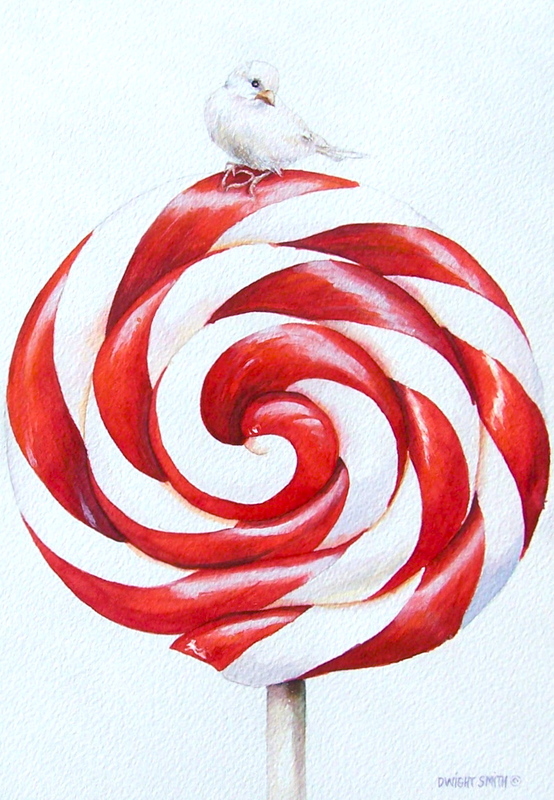 Title: ” LOLLIPOP TREE ” size: 10 x 7 inches, watercolor on acid free paper. This food themed still life was my wife’s idea and a good one. It is holiday inspired. Peace and Love!! This little bird couldn’t have picked a better spot to perch on.